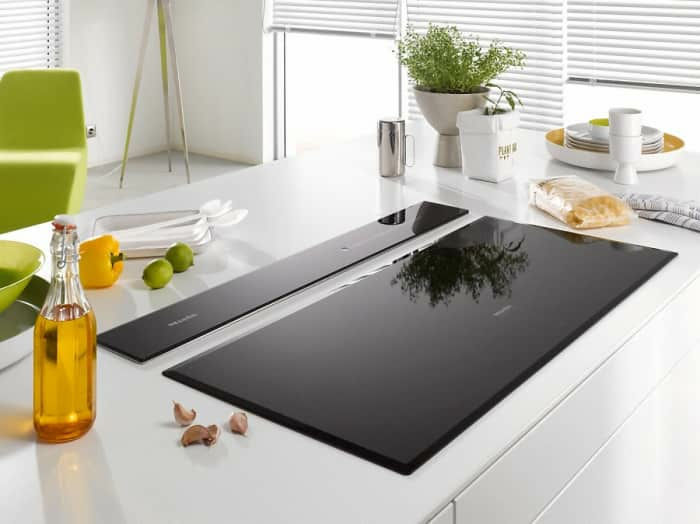 How will the kitchen of the future look like? It will be invisible! 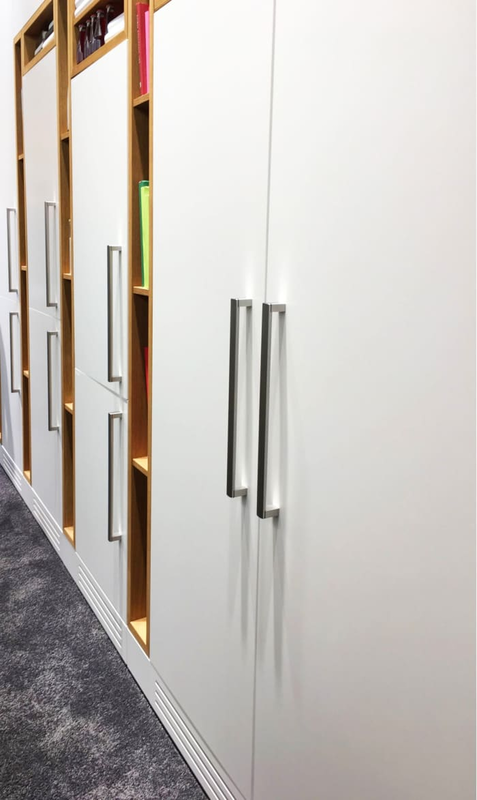 The overall tendency for the future goes towards smaller living spaces, with the challenge of making them more and more flexible and multifunction. 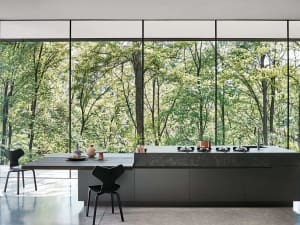 The answer from open-plan kitchens is extreme: a totally invisible kitchen. 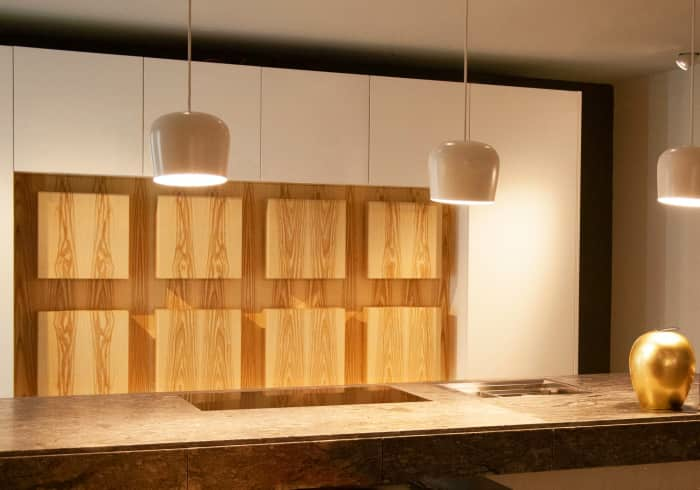 When not in use, all the elements that make a kitchen disappear, leaving a completely integrated space where kitchen and living blend perfectly. 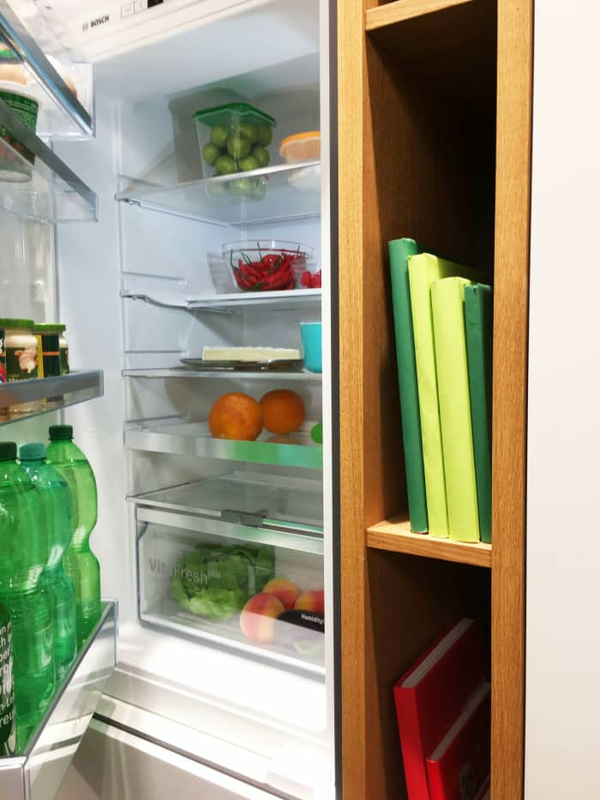 One of the most invasive kitchen appliances is certainly the fridge. Not anymore. 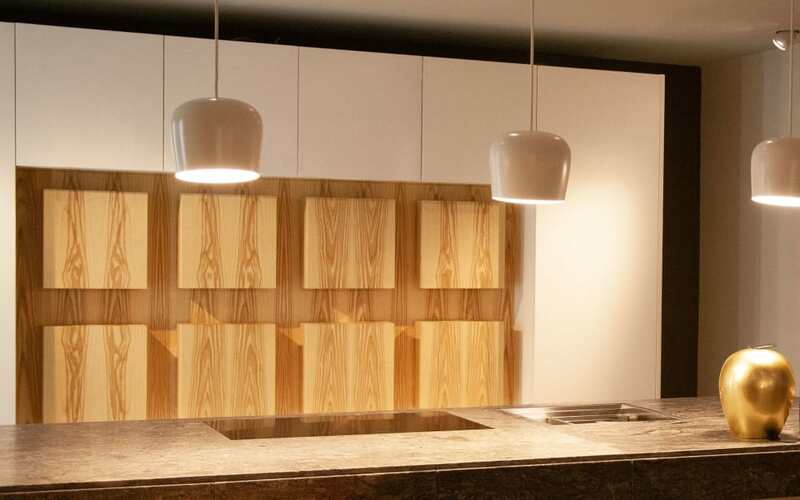 In an invisible kitchen it can get integrated in a built-in to blend with the surroundings. Would you have said one of the doors below is actually a fridge? In an open-plan kitchen, another visually disturbing element can be the faucet. 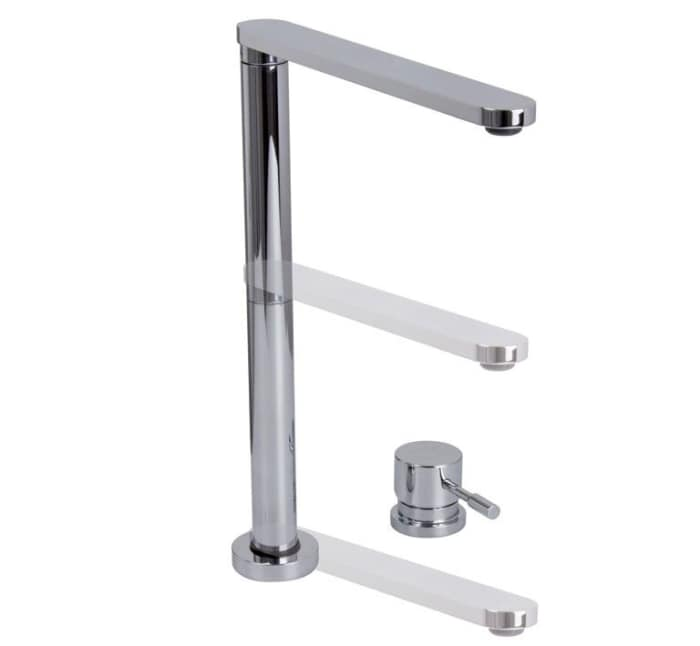 But now, there exist innovative push/pull faucets, that can be lowered when not in use. 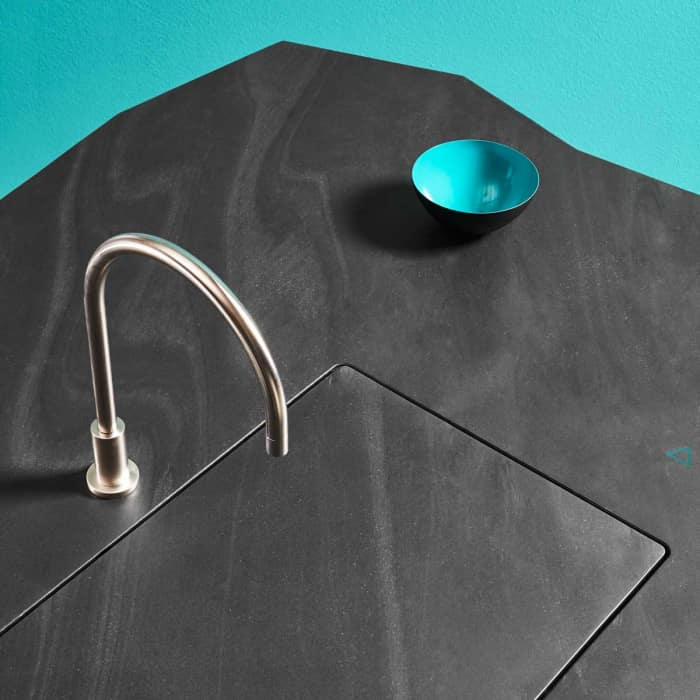 ...to using gestures that trigger the sink base to automatically move up and down. 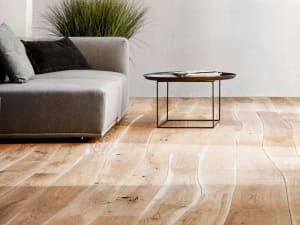 Both methods leave with a larger usable surface that makes the space really flexible and multifunctional. Hoods are another definitely chunky item in a kitchen. 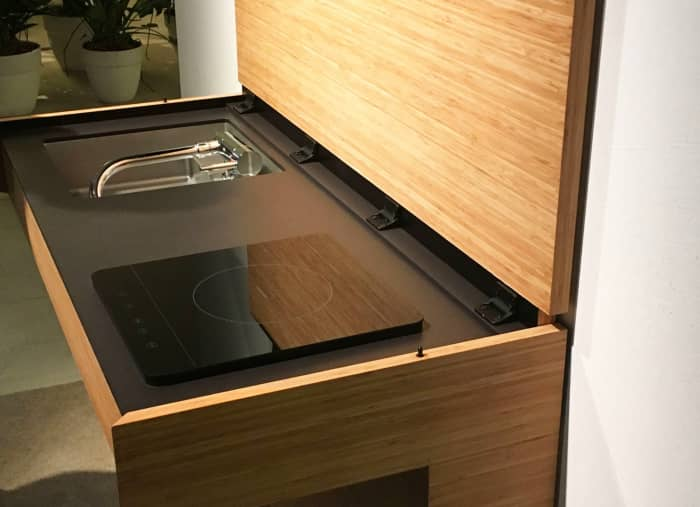 But, in the kitchen of the future, the hood sits flush with the worktop and can be raised with a motorized system only when needed, doubling as backsplash and task light. An alternative are hoods that don’t even need to be raised (my favourite!) 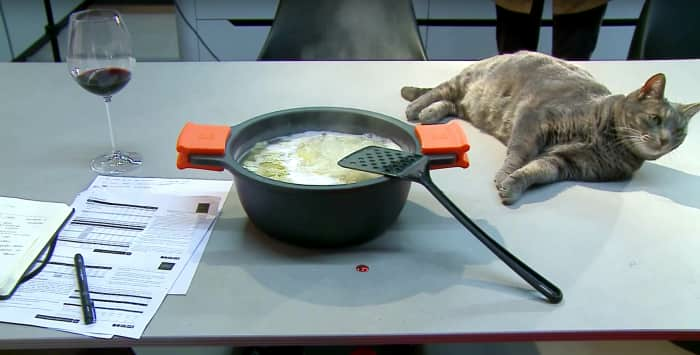 Their suction power is quite amazing and can trap cooking smokes directly from the pan. How to make cabinets disappear? What if they became a design feature! 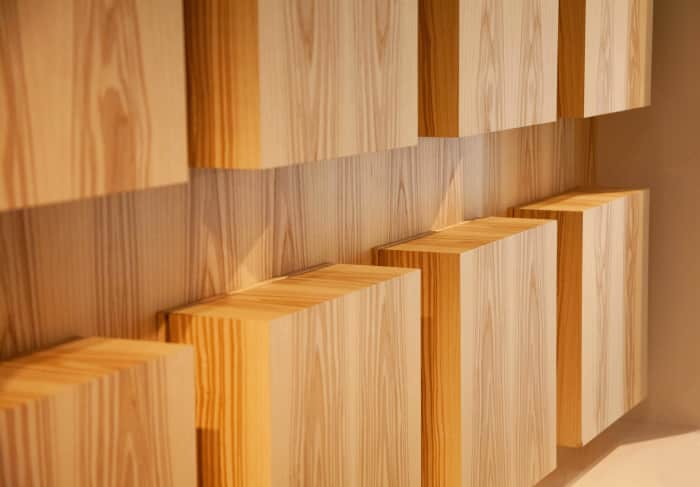 It’s the case of these wooden cubes that – extending in a wall niche – create hidden storage while dressing the wall as an art piece. 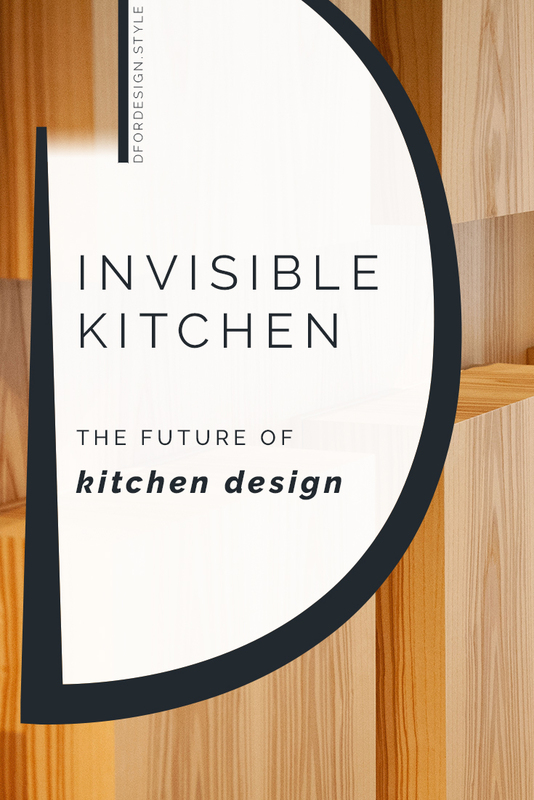 And voilà, an invisible kitchen becomes decorative at the same time! 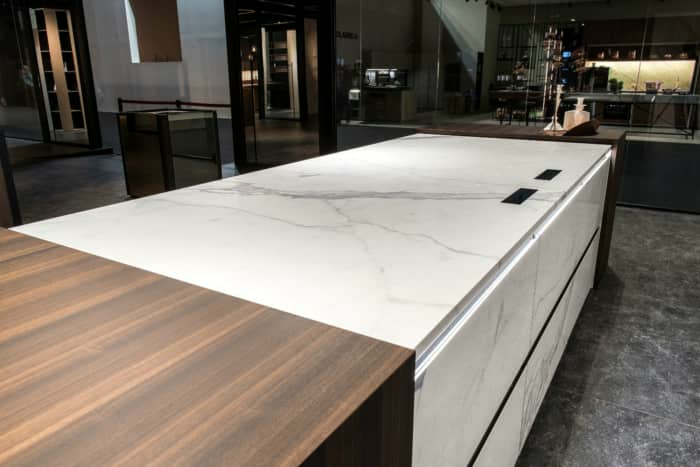 In the design of a hidden kitchen, the whole concept of worktop surface deserves a separate point, as it goes a long way towards integrating kitchen and living spaces in a totally seamless fashion. 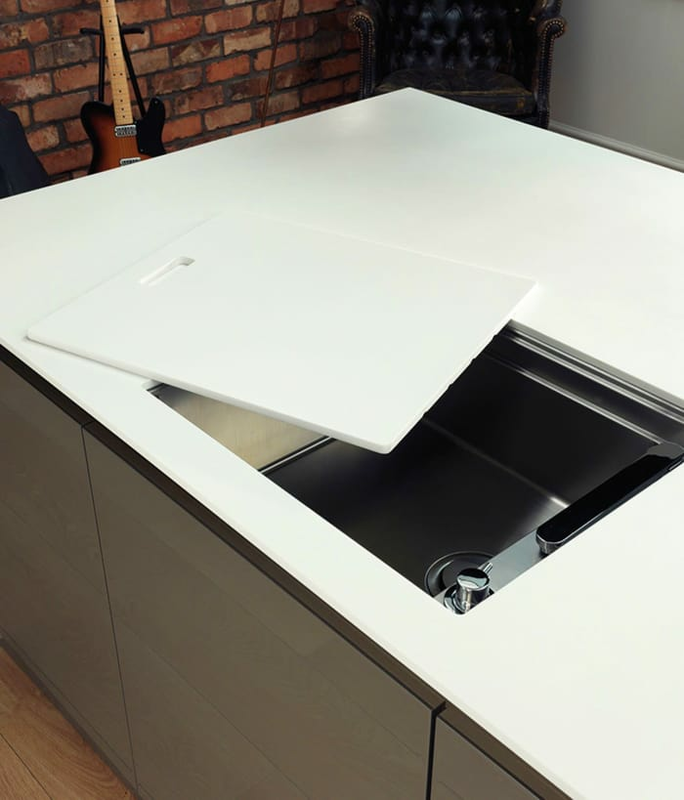 Worktop space, cooking area, dining table, desk…all functions can happen on the very same surface! 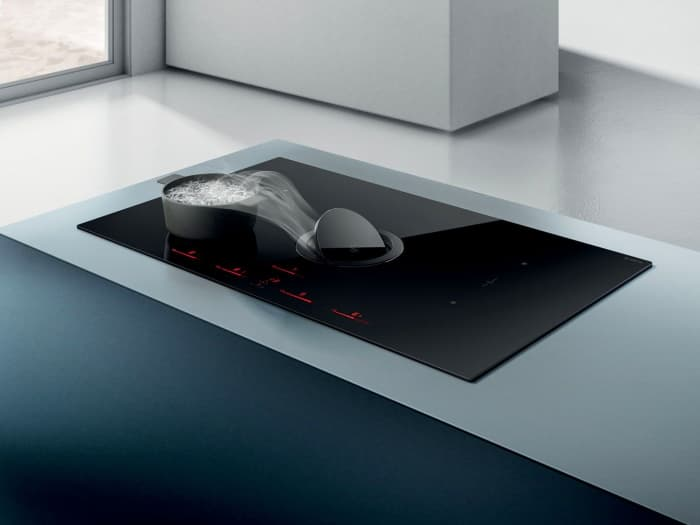 Induction technology is what makes it possible, with induction areas hidden under the worktop level that make the actual hob totally invisible. 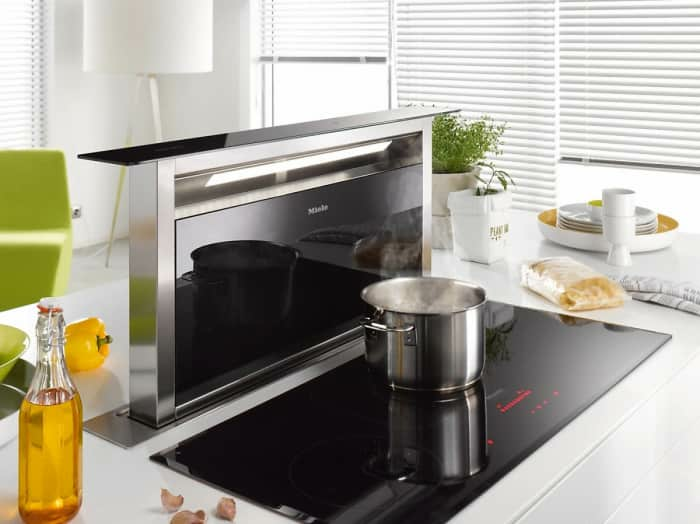 A word on safety: as induction causes the pan to heat while burners stay cool, the worktop can securely be used as dining table or desk when the cooking is done. 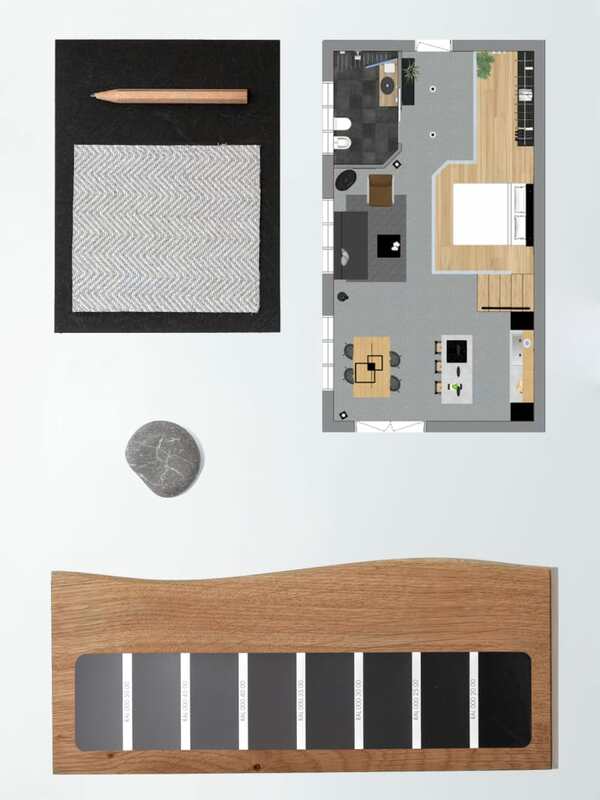 And here you have it: open plan kitchen, dining room, home office (and even retreat for your cat!) all in one place. Open-plan kitchens are in general a great solution when the available space is very limited. 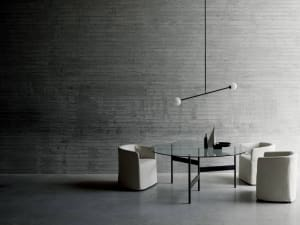 And there are also some extra-small-scale options to achieve an invisible kitchen. 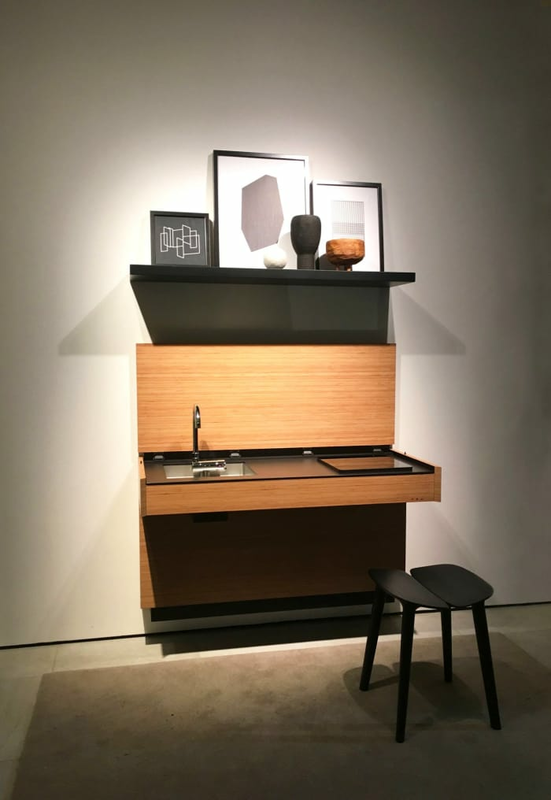 At the latest Milan Design Week, the Japanese Sanwa Company has presented this fully equipped mini-kitchen. When not in use, the faucet can be folded down. 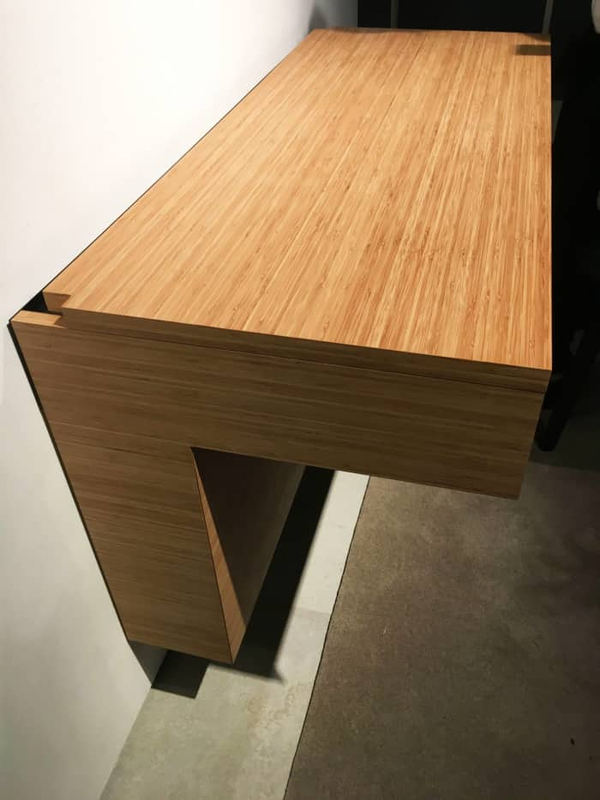 Then the whole surface is closed with a cover and all is left is a desk, that can be even adjusted in height.